Description: Fab!Stunning!Warm & flowing!Incredible 2 story has it all w/4 brs, 5 ba, fin bmt w/5th br & 5th ba & great rec. Rm. Dramatic 2 story fam rm w/built-ins/gorgeous fplc. Lrge kit boasts custom maple cabs, island & brkft bar.Mstr suite features fplc, walk-ins & lux bath w/sep walk-in shower/whirlpool tub. 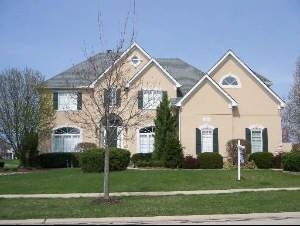 Den off fam rm near 4th ba & sought after screen porch.Golf course view,deck,patio,cen.Vac,sec sys&more!Home a 10!